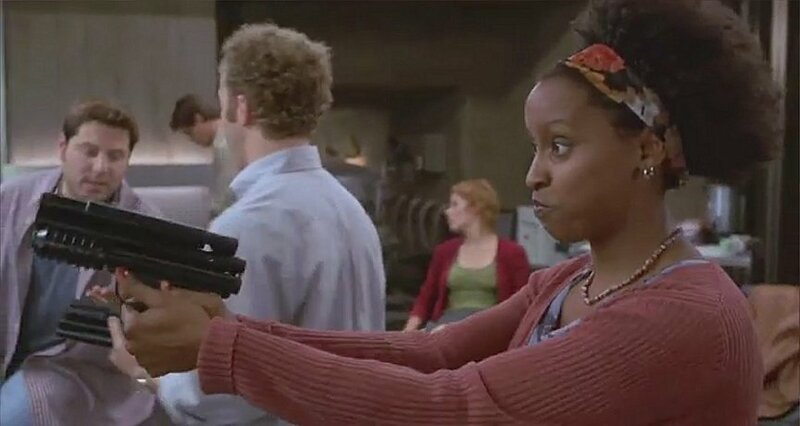 The film Hollow Man (Kevin Bacon, 2000) prominently features paintball guns used as tranquilizer dart guns. 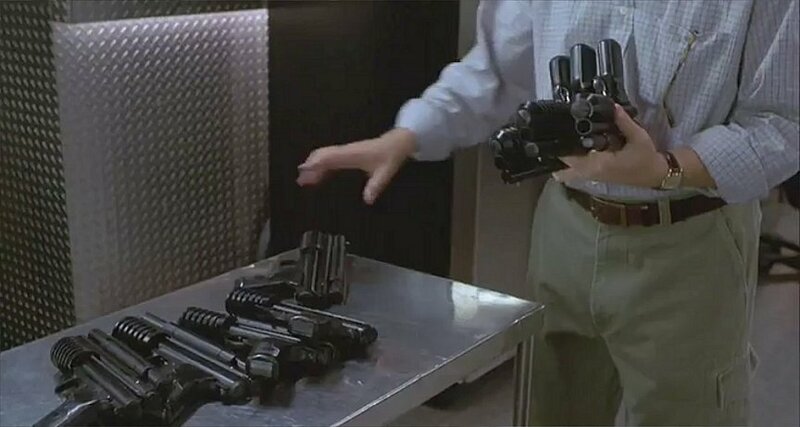 Frank Chase (Joey Slotnik) picks up several Benjamin-Sheridan PGP pistols, fitted as tranquilizer dart guns, to hand out to the rest of the crew. Linda (Elizabeth Shue) prepares to fire her PGP, thinking Caine is hiding in the locker. 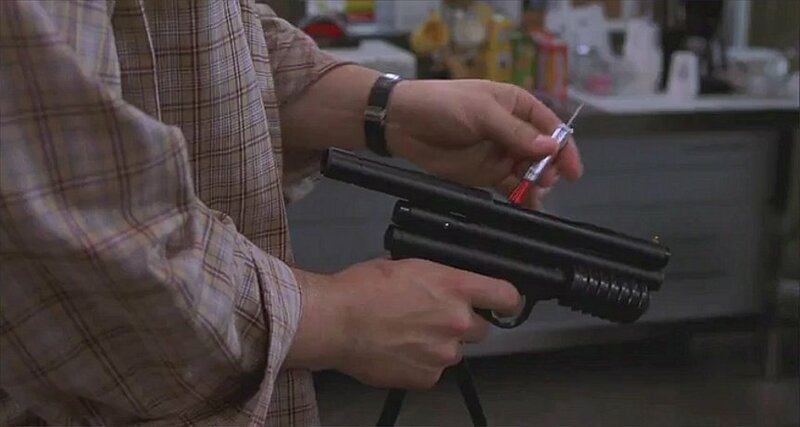 Carter (Greg Grunberg) shows us how to load a tranquilizer dart into the (modified) top tube of his PGP. Note the sliding "loading slot" cover. 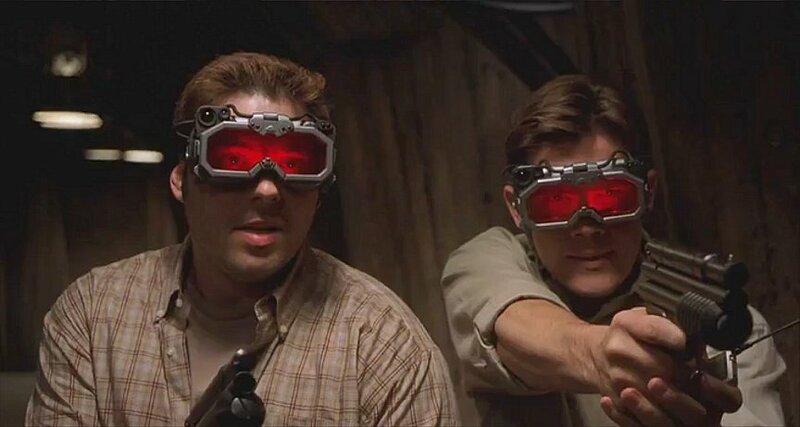 Carter and Matthew (Josh Brolin) try and corner Caine in the access tunnels. The PGPs appear completely unmodified except for the top tube.